What's wrong with the Ferrari 458 drivers? Another Prancing Horse bites the dust, this time the accident took place in Istanbul, Turkey, and the reason might probably be the speed mixed with the wet road; not really the best conditions to push 570hp. Luckily both the passenger reported minor injuries, but if you notice, due to the collision a piece of iron has been slammed on the wildshield of the Ferrari, and it could have caused serious injuries. 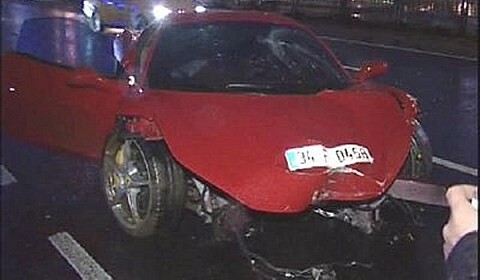 At least, I don't think they have beaten the record of two young boys that have crashed a 2 hours old Ferrari 458 Spider! 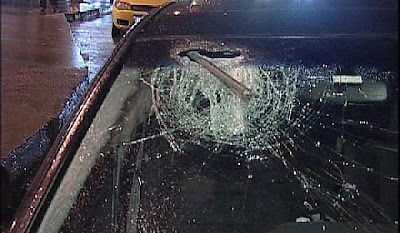 its not the Ferrari that got slammed by the stray piece of something..
i saw that accident :) im lving in istanbul ahaha. driver is little bit drunk. his driving licence is revoked by the police.